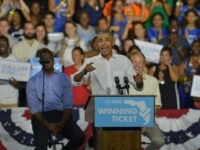 Country music star Tim McGraw canceled a series of concerts in Cuba, Spanish-language media reported Monday, shortly following the Trump administration’s announcement of new policies to keep Americans from engaging in tourism on the island and enriching the repressive Castro regime. 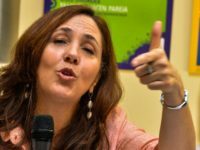 The communist government of Cuba once again arrested Pastor Ramón Rigal and wife Ayda Expósito on Wednesday shortly before they had planned to leave the country. 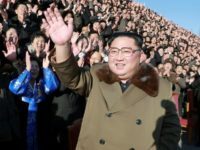 Rigal and his wife are at the forefront of an Evangelical movement against allowing the regime to educate their children. 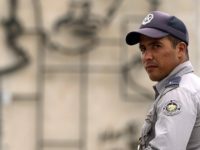 Cuban police released artist Luis Manuel Otero Alcántara on Monday after arresting him and several others for organizing a footrace to wave American flags around the streets of Havana. 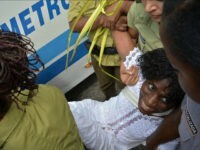 Police in Kenya revealed the arrest Monday of a driver affiliated with the Somali outlet al-Shabaab in the case of the abduction of two Cuban slave doctors in a violent ambush on Friday. 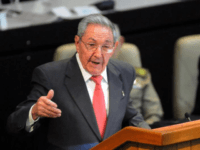 Cuban dictator Raúl Castro issued a warning to his country, already facing significant food and goods shortages, on Wednesday to prepare for the “worst case” economy in light of a campaign by the Trump administration to undermine the communist regime. 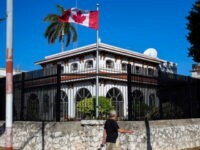 Havana’s National Hotel hosted 500 people — with an estimated 80 percent being American citizens — for a lavish feast known as “Le Dîner en Blanc,” or “The Dinner in White,” on Saturday amid a growing food shortage problem that has Cubans recalling the post-Soviet “special period” poverty of the early 1990s. 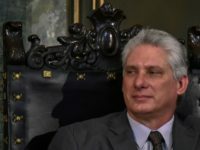 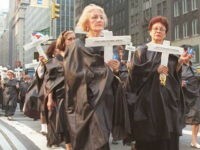 The pro-democracy dissident organization Patriotic Union of Cuba (UNPACU) announced Wednesday that over 120 people across the island had joined their collective hunger strike protesting the abuses of the Castro regime against opponents of a “new” Communist Party constitution set to pass this weekend. 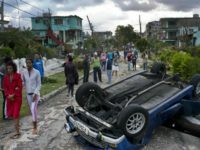 Local Communist Party officials in the Regla neighborhood of Havana, Cuba, are selling chicken and rice to locals in the aftermath of a devastating and rare tornado that left much of the capital in tatters, the independent outlet Cubanet reported this week. 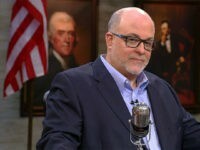 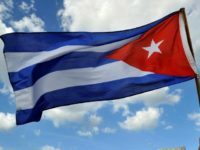 Members of the Patriotic Union of Cuba (UNPACU), one of the island’s largest pro-democracy dissident groups, applauded the introduction of a bill by Senators Bob Menendez (D-NJ) and Marco Rubio (R-FL) Thursday condemning the Castro regime for “state-sponsored human trafficking” of doctors. 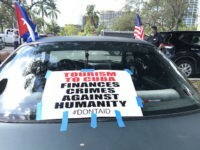 Cuban dissidents expressed outrage this weekend after American media outlets exposed the lavish lifestyle of Tony Castro, Fidel Castro’s grandson, as documented on his now-private Instagram account. 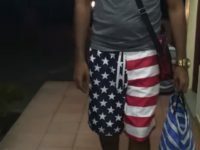 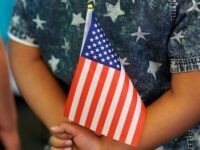 A Cuban man denounced the communist regime in a video published Tuesday, alleging that his local hospital prevented him from entering to visit his ailing pregnant wife because he was wearing shorts emblazoned with the American flag. 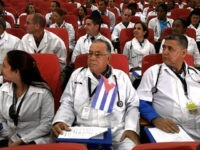 Brazil’s Ministry of Health announced on Monday that it had filled 97.2 percent of the doctor positions open following the Cuban government’s decision to immediately abandon a program offering medical care to the nation’s most remote, underprivileged areas. 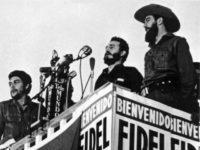 Two Black Fridays ago – on November 25, 2016 – Cuban dictator Fidel Castro finally died. 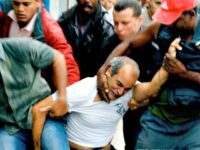 Two years later, the pro-democracy activists at the forefront of the fight for freedom lament that little in Cuba has changed for them, and what has changed has worsened. 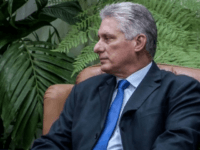 No evidence exists that the Brazilian government believed the Cuban doctors it hired would not be receiving salaries, government documents reportedly reveal according to a report published by the Spain-based Diario de Cuba newspaper on Tuesday. 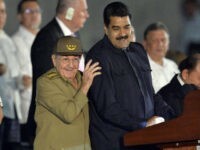 Cuban rapper “Pupito en Sy” announced a hunger strike in solidarity with fellow hip-hop artist Maykel Castillo “El Osorbo,” who last week sewed his mouth shut while in prison to protest Cuba’s impending ban on “unauthorized” music. 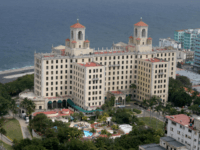 The State Department announced Wednesday that it would add another 26 entities, including 16 hotels, to its “Cuba Restricted List,” generally barring Americans from doing business with those entities. 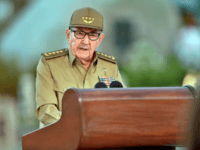 The hotels and other businesses in question are those known to be owned by the Cuban military, which directly engages in human rights abuses throughout the Western Hemisphere. 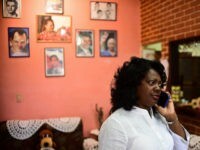 Berta Soler, the head of Cuba’s pro-democracy Ladies in White group, denounced the communist regime there on Tuesday for refusing to renew her passport, telling her that she was being “regulated” generally and could not move freely.